Nigeria Football Federation (NFF) President, Amaju Pinnick yesterday in Lagos raised the stakes a notch higher when he said that the Super Eagles will win the Russia 2018 World Cup. 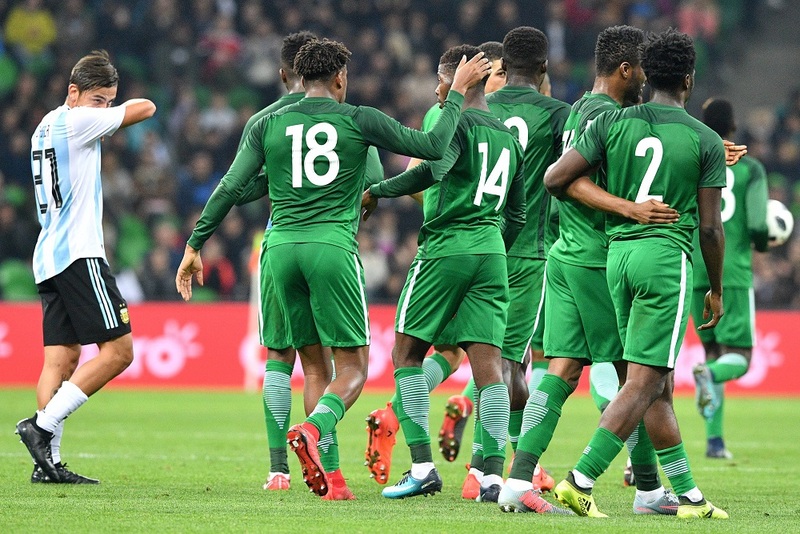 Many pundits had picked the Super Eagles as one of the teams to watch in Russia following the manner they qualified for the World Cup, as well as the recent 4-2 defeat of one of the favourites, Argentina in an international friendly in the host country. But saying emphatically that Nigeria will win the competition raised some eyebrows with some people at the Sheba Event Centre, Maryland, asking if there were things the NFF president knew that other Nigerians are not aware of. The event was the unveiling of the short code *1945#, which will be used for all campaigns geared towards Nigeria’s preparation and participation at the 2018 FIFA World Cup finals in Russia. The event was organized in conjunction with Secure and Trusted Alliance Services Limited – STA Mobile. Tagged, Naija 4 FIFA World Cup Russia 2018 sponsorship programme, the NFF said it would give 100 Nigerians football fans from across the country sponsorship opportunity to the World Cup. Pinnick said the NFF had completed the legal framework to ensure the sponsorship programme to Russia succeeds, adding that it would help the Super Eagles to win the World Cup. He said the same determination that propelled the Eagles to success during the qualifiers despite being grouped with Cameroun, Algeria, and Zambia would also come to play in Russia. “The #1945 would be officially lunched after the World Cup draw. The NFF seeks to carry out this project to ensure we have a large number of Nigerians to cheer the Eagles to victory. “Our target is to be the first African nation to win the World Cup. We have young players that can do it. Rohr is not only building a team of today, he is building a future team,” he said. He said the NFF decided to sign a new two-year contract with Coach Gernot Rohr to stop other teams from taking him away in case Nigeria wins the World Cup. “After the World Cup draws all plans for the Eagles preparation for Russia 2018 would be made known through a press conference on December 10. But I can assure Nigerians that the Eagles would be playing grade A matches to prepare for the World Cup. Victory against Argentina in the friendly has given the Eagles advantage to be among the best teams in the world,” he added. Also speaking at the vent, Bolaji Babalola of STA Mobile, designers of the *1945# project disclosed that from January to May 2018, 25 winners would be announced every month. He urged the participants to use any of the options on the online platform, which are ‘Fly Russia, Predict and win, Sports trivia and gaming’ to play the game, adding that winners would be announced through the raffle draw. He revealed that journalists would also be selected to be sponsored to Russia, adding that passport and other logistics would be processed for winners.